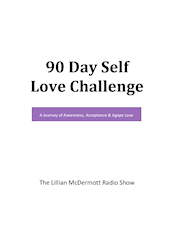 Week of 7-23-18, on The Lillian McDermott Radio Show! We had another busy weekend celebrating a huge milestone for our family. Our daughter, Brittney, launched her new brand of fitness with Burn District Fitness, in Jacksonville, FL! We sweated, burned a lot of fat, and celebrated her Grand Opening! We are in awe of what she has created. I am sure I will share more about her adventure as time goes by. Burn District Fitness Grand Opening 10 am class! Monday, 7-23-18 ~ Michael Klaper, MD, realized early in his medical career that what he learned in medical school just did not add up. An awakening in him caused him to question everything he believed to be true. He embraced nutritional medicine to help heal himself and his patients. Dr. Klaper will share the good, the bad, and the ugly about salt, sugar and oil. Call or Text to win Dr. Klaper’s DVD on this topic. Tuesday, 7-24-18 ~ Have you ever been caught off guard? You might have your heart set on your goals. But something happens to alter the outcomes. You might even feel like the wind has been knocked out of your sail. How do you deal with setbacks? Are you overcome by fear? How do you find the strength to take the next step? I will share how as a Certified Life Coach, I assist my clients discover, focus and embrace abundance for their lives and career. Do you know what you want? Wednesday, 7-25-18 ~ Have you seen the documentary, “A Plastic Ocean”? You must see it to believe it! Did you know that 8 million tons of plastic gets dumped into our oceans each year? Have you ever wondered where single-use plastics go? How is plastic processed in other areas of the world? After watching the documentary, I made a commitment to start eliminating plastic from my life. Julie Andersen, of Plastic Oceans Foundation, will share how we can help keep our oceans safe and minimize the amount of harmful plastic. Thursday, 7-26-18 ~ One of a parent’s greatest fears is discovering their little beautiful baby has an illness. This is exactly what Ryan Sternagel experienced when his 11-month-old son Ryder was diagnosed with Stage 4 Neuroblastoma Cancer. Ryan will share his journey of HOPE and how his son cured his cancer using The Stern Method! Friday, 7-27-18 ~ If this is the first time you listen to Dr. Lorraine Day, you are in for a treat. Dr. Day was days away from dying with cancer when she made a change that saved her life. That was 25 years ago… Fortunately for us, we can benefit from her 25 years of “New Truths,” research, and wisdom. She is back and this time, she will be teaching us how to prevent and reverse prostate cancer, naturally. She will also explain why chemo, radiation, and surgery may not be the only answer. Saturday, 7-28-18 ~ Cancer coach, Elyn Jacobs is a two-time breast cancer survivor who refused to heal her body in the conventional way. Elyn is back and will share about her cancer research journey leading her to become aware of the connection between cancer and Epstein’s Bar Syndrome. On July 22, 2018 / What is Happening Weekly?